My name is Steven. I have both a bachelor's and master's degree in pure mathematics from the historic City College of New York (CCNY) which is part of The City University of New York (CUNY) system. My teachers at CCNY were awesome. From each of my professors I learned different teaching styles, all of which I use as a college math professor and as a math tutor. 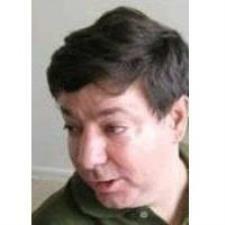 I have been a math tutor since 1986 and a full-time college math professor since 1992. I use to say that I have seen it all, but now I say I seen it all twice. I have tutored over 10,000 students to date. I wonder how many tutors can say that?! I have been a college math professor since 1992. I also have been a math tutor since 1986. I have taught Elementary Math material countless times as a professor and a math tutor. I have tutored students for over 10,000 hours! I have been a college math professor since 1992. I also have been a math tutor since 1986. I have taught Algebra countless times as a professor and a math tutor. I have tutored students for over 10,000 hours! I have been a college math professor since 1992. I also have been a math tutor since 1986. I have taught Algebra 2 material countless times as a professor and a math tutor. I have tutored students for over 10,000 hours! I have been a college math professor since 1992. I also have been a math tutor since 1986. I have taught Calculus countless times as a professor and a math tutor. I have tutored students for over 10,000 hours! I have been a college math professor since 1992. I also have been a math tutor since 1986. I have taught Prealgebra material countless times as a professor and a math tutor. I have tutored students for over 10,000 hours! I have been a college math professor since 1992. I also have been a math tutor since 1986. I have taught Precalculus material countless times as a professor and a math tutor. I have tutored students for over 10,000 hours! I have been a college math professor since 1992. I also have been a math tutor since 1986. I have taught SAT Math material countless times as a professor and a math tutor. I have tutored students for over 10,000 hours! I have been a college math professor since 1992. I also have been a math tutor since 1986. I have taught ACT Math material countless times as a professor and a math tutor. I have tutored students for over 10,000 hours! I am a retired college math professor. I also have been a math tutor since 1986. I have taught Discrete Math over 5 times as a professor. I am a retired college math professor. I also have been a math tutor since 1986. I have taught Finite Math over 5 times as a professor. I have been a college math professor since 1992. I also have been a math tutor since 1986. I have taught Linear Algebra material countless times as a professor and a math tutor. I have tutored students for over 10,000 hours! I have been a college math professor since 1992. I also have been a math tutor since 1986. I have taught Probability material countless times as a professor and a math tutor. I have tutored students for over 10,000 hours! I have been a college math professor since 1992. I also have been a math tutor since 1986. I have taught Trigonometry countless times as a professor and a math tutor. I have tutored students for over 10,000 hours!